Located just two miles from Newark International Airport and three miles from downtown Newark, the Wyndham Garden – Newark Airport offers an oasis of comfort, convenience and modern amenities. Business and leisure travelers alike will appreciate the hotel’s convenient location minutes from The Mills at Jersey Gardens, the New Jersey Performing Arts Center, and the Prudential Center, home of the New Jersey Devils. 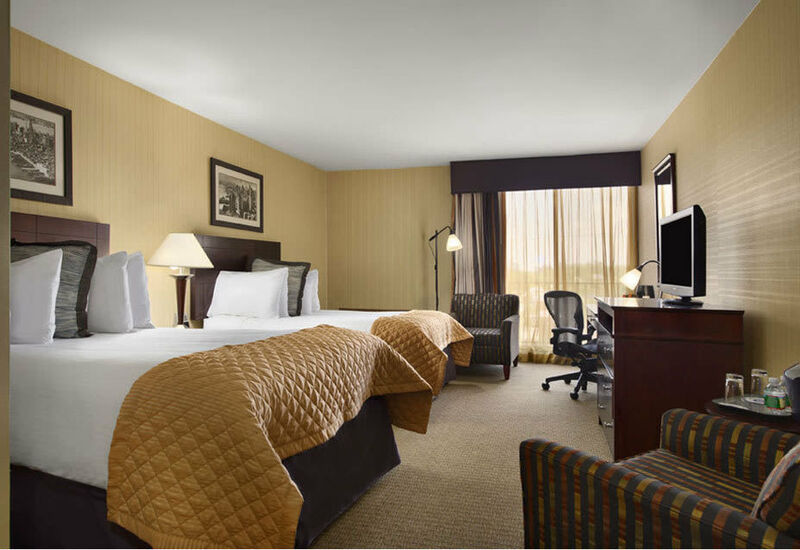 This Newark hotel is also set in an ideal location to explore all the excitement of New York City, only 15 miles away, where visitors can see iconic attractions like the Statue of Liberty and Times Square, or attend a thrilling Broadway show. With complimentary 24-hour shuttle service to Newark International Airport, guests can rest easy about getting to the airport on time. The 24-hour business center affords guests the opportunity to print a boarding pass, while the 24-hour Grab and Go is the perfect spot to get a snack any time of day or night. After a long day of travel, guests can relieve stress with a workout in the fully equipped fitness center, or enjoy a rejuvenating swim in the seasonal outdoor pool. The Starlight Restaurant & Lounge serves up delicious fare for breakfast, lunch and dinner, allowing guests the convenience of dining without having to leave the hotel. Each of the hotel’s 349 well-appointed, spacious guest rooms features thoughtful amenities like a 32-inch flat panel TV, free Wi-Fi, plush bedding and ergonomic work station. Guests wishing to upgrade to a suite will enjoy a separate living area with dining table, sofa bed and plush bathrobe. Recipient of the 2013 Trip Advisor Certificate of Excellence Award!